Does targeted advertising encourage discrimination? One of the major benefits of advertising on social media is that you can accurately target your message to very specific groups of people. When it comes to advertising jobs, this means you can aim at people you feel would be most suitable for the role. But can this lead to the inadvertent – or even deliberate – introduction of discrimination? In September 2018, a group of people in the US started legal action against Facebook and a group of other companies on the grounds that jobs such as labouring and truck driving had been targeted specifically at males. 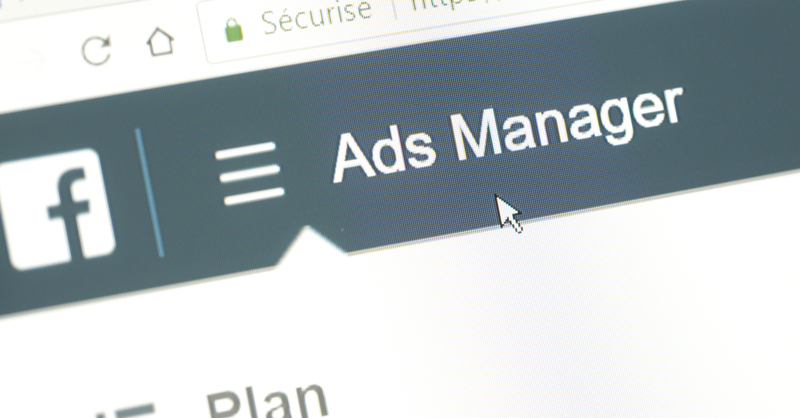 The case has yet to be decided, but it could have a major impact on online advertising. The problem is that targeted advertising is the lifeblood of online media. Without it, companies such as Facebook and Google and a whole host of specialist advertisers lose much of their USP. These companies rely on adverts for the lion’s share of their income and the services we all use including Google Search and Maps are financed by adverts. So restricting targeting to prevent discrimination could be a major issue for the technology giants. But would it be better for society? Recent electoral campaigns both here and in the US have seen ads aimed at specific groups. This has also driven the ‘fake news’ phenomenon as people post click-bait stories in order to gain page views for their ads. Of course for advertising to work, internet firms need to collect data about you and track what you’re looking at. Google Analytics is present on around 70 per cent of the top million websites, according to a 2016 study. This is a far cry from the original aims of Google’s founders who felt that advertising had been responsible for corrupting other search services. New legislation such as GDPR is already making consumers more aware as to how much information about themselves they are giving away. If it becomes accepted that targeted advertising could be a form of discrimination, then the digital world is going to have to change. Businesses will have to be clearer about the ways they collect and use our information. This could even lead to a shift in the way online services are financed. Would you be willing to pay for your searches or your social media page if it meant your activity wasn’t monitored and tracked? This may currently seem a far-fetched idea, but as awareness of data use – and misuse – grows, this is precisely the sort of major shift the industry will need to face up to. If you need executives who are equipped to handle the challenges of the changing digital world, then the team at Clifford Associates can help you to find them. Project Manager – Award Winning TTL Marketing Agency – Global (London). Territory Sales Manager (UK) – Global Energy Media Publishing. Snr Business Development (NYC) – Leading B2B Global Content Marketing & Thought Leadership Specialist. Snr Business Development Manager – B2B Advisory, Thought Leadership, Content Marketing. "As a fast-growing start up, we need great people with a tough set of skills to find. They need to be hungry, experienced and fit the culture of a business that is always adapting and growing. Finding these people using Linkedin and other job boards is tough, time-consuming and rarely bears fruit. Ross has always been able to uncover gems for us, and we are benefiting greatly from his skills at CONCURED. Ross has a rare ability to really understand the business, the culture and the people that will nail the role. I couldn't recommend him highly enough, and he is the only recruiter we deal with"
I am writing to express my gratitude to Ross Clifford & Associates who helped me successfully secure the role of Enterprise Sales Executive at Concured. Ross was extremely professional and understood the specifics of the job I required. I especially appreciated his fast response, transparent communication, and coordination in a timely and efficient manner. Ross is one of the friendliest recruiters I've dealt with. He was always attentive, quick to respond and ready to help with any questions I had. He's very professional, and not at all superficial like so many other recruiters out there. I would highly recommend him. - Jessica Cole, Editor – Redwood London. - Gareth Lofthouse, Founding Partner, Longitude. I can't rate or recommend Ross highly enough. He brings a thoughtful, personal approach to the process, carefully matching opportunities with candidates, through a good understanding of their priorities and skills. Throughout, he keeps candidates up to date in an open, honest way. A genuine pleasure to work with. - Johnny Meredith, Senior New Business Manager, The Bio Agency. Ross is the best recruitment agent I have worked with, he stayed in contact, kept me informed and was with me every step of the process. He also checked in with me during my first couple of weeks in my new role to make sure I was settling in. I wouldn't hesitate to recommend him. I have worked with Ross over 4 years now and he has always delivered a really high standard of candidate both at senior and junior level. His online knowledge is second to none and all the candidates he has put forward over the years have only good things to say about Ross and his work ethic. Ross is a fantastic recruitment consultant - extremely professional, meticulous, patient and supportive. Throughout the process, I felt he represented me really well and genuinely cared about my career and finding the right role. Thanks to Ross I am now in a role I love, working with a brilliant team. Very highly recommended! RC&A trading as Ross Clifford & Associates Ltd.
© Ross Clifford Associates. Website by Outlines Design.